“Everything is stupid,” 13-year-old Dayveon Buckingham (Devin Blackmon) tells himself as he rides his bicycle along the tree-lined roads of his rural Arkansas town, and it’s easy to see where he’s coming from. He lives in poverty with his older sister Kim (Chasity Moore), her boyfriend Bryan (Dontrell Bright) and their infant child, spending his free time wandering around the local rock quarry with his friend Brayden (Kordell Johnson) and mourning the shooting death of his older brother. Determined not to succumb to the same fate, Dayveon makes the decision to join up with the local gang of Bloods, who acquiesce to his request by allowing a half-dozen members to assault him, strip him down to his boxer shorts, and throw his clothes into a tree. Unsurprisingly, their newest member doesn’t take kindly to the initiation ritual, but at least someone has his back now… right? Understanding the dangers of the path laid out before Dayveon, Bryan tries to inject himself as the positive role model the boy has been lacking since the loss of his brother. But instead of accepting this olive branch, Dayveon grows increasingly angry, shoving Bryan away and telling him “you’ll never be my brother.” It’s a heartbreaking scene, because we can see just how much Bryan cares for Dayveon, which offers a stark contrast to his newfound “friends” and their eagerness to exploit his naivety. 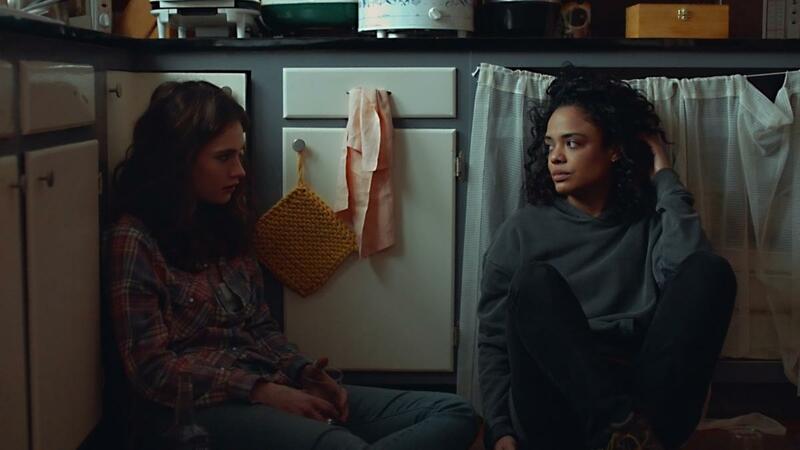 Amman Abbasi’s decision to populate his film with non-professional actors – most of whom speak with the incredibly thick accents that have become something of a regional trademark – adds a layer of authenticity to Dayveon, and much like last year’s American Honey, the depiction of poverty in rural America is gut-wrenching and tragic. Becoming a criminal isn’t so much a choice as a means of survival, and although we can’t necessarily agree with some of the actions portrayed onscreen, we can still understand the motivation behind them. At 75 minutes, it feels like Abbasi’s film comes to a close just as we’re finally beginning to understand his characters. The resolution, which comes on the heels of a moment where both aspects of Dayveon’s life are forced to intersect, doesn’t offer much in the way of closure, and we’re left wondering about the inevitable fallout that will come from his choices. It’s a head-scratching way to end what could have been an otherwise powerful narrative about grief and masculinity, but instead feels more like a missed opportunity.